In what appears to be a seemingly mellowed-out, more conservative change for the group is actually innovation to the nth degree. Drawing from a discography perfectly seasoned with indie-dance, house, psych-rock and folk elements, particularly in today&apos;s genre-bending electro-landscape, Dynasty Electrik have once again risen to the top with their latest, Crystal Sound Bath. More than an album, it&apos;s an incredible experience. In the heart of groovy Venice, the intercontinental epicenter of mysticism chic, Dynasty Electrik&apos;s weekly Crystal Sound Bath events at the Mystic Journal Crystal Gallery transport participants to other worldly realms. From the moment you walk in the door, greeted by alchemical elixirs of Wild Chaga tonics by Black Magic Alchemy and singing plants (yes, singing plants—well actually, it&apos;s better than that, the plants play electronic midi-instruments) by botanical music maestros Data Garden, as a sense of calm, relief and joyous wonder washes over. That&apos;s before the warm scent of frankincense & myrrh and the beckoning call of Dynasty frontman Seth Misterka&apos;s flute and ambient waterfall atmospheres tantalize your ears. Shoes come off and a sip of alkalized water fuels what&apos;s next —gigantic crystal geodes, an entire jungle of them. Five foot amethyst and citrine and clustered tons of clear quartz stand like wisdom trees ready-and-willing to forever beam light. There’s an ever present sense of peace and sweet tranquility. Be here now, because bathing in sound is only the beginning. After taking the mat on the gorgeous floors of the gallery&apos;s yoga studio, Dynasty Electrik&apos;s Jenny Deveau begins gently guiding participants into… actually, what&apos;s next is nearly indescribable. Although Misterka sums it up succinctly. "We are comprised of vibrations, and the music and tones generated in the music have the ability to tune you like an instrument," says Seth, addressing the crowd as Jenny calmly encourages everyone to breathe deep, with intention, and gently wash away the week&apos;s stressors. It becomes abundantly clear that the weekend in Los Angeles starts here. "Like a guitar or piano can be tuned to be in perfect harmony, so can you," Seth concludes, as he begins orchestrating resonant harmonies across a set of large and even larger perfect pitch singing bowls that span the stage. It begins. Psychedelic, meditative, transportive — the finest hallucinogens in the world struggle to solicit the profound effect of tuning your body to an hour of the sounds of Jenny and Seth&apos;s Crystal Sound Bath. Tones bounce from crystal to crystal as sound becomes extra dimensional and the entire event takes on an improvisational nature of its own. Within minutes, the body vibrates and behind closed eyes visuals ensue as the sound vibrations cleanse disharmonies of the spirit. Cascading gongs, choir-like vocals, elastic theremin—it’s nothing less than a aurally induced trip—pure of adulterants—as time passes with music evolving, flowing like an expert DJ set while the body’s physical plane transcends, turning to frequency and resonance. 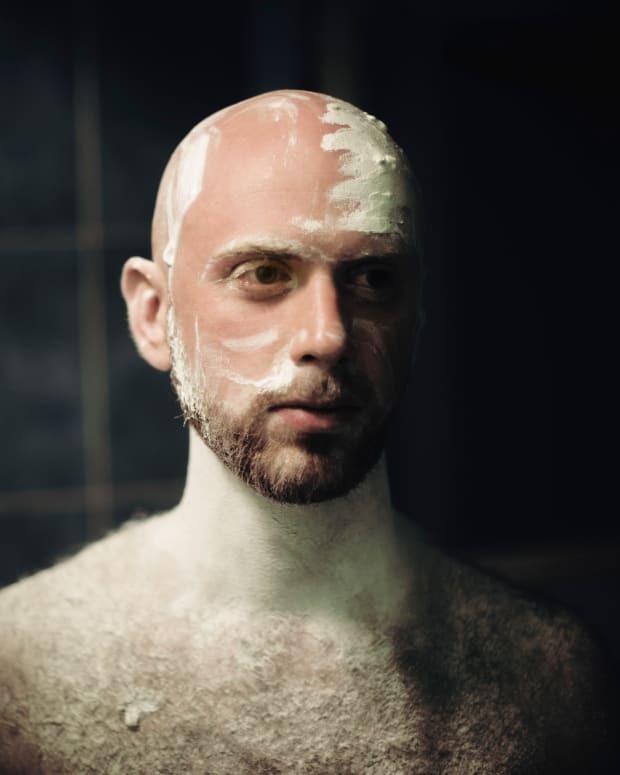 Eventually, Dynasty brings the music down, wrapping the hour in a warm acoustic version of the song "Eye Wide Open," the lead single on Dynasty Electrik&apos;s 2012 self-titled LP. Released on No Shame records, the album features producers David Maurice, DJ Logic, and Ski Beatz. MTV2 aired the music video for "Eye Wide Open" and the song later made its way into a Bath & Body Works commercial. A few more collective breaths and then a group OM, then namaste. Feelings of levity and relief permeate as the evening’s participants gather themselves. Some scurry on to their next endeavor. Many stay to mingle and peer at the sacred gallery’s giant collection of geodes, commune with the singing plants, and connect on even deeper planes (while quaffing a final round of Black Magic Alchemy). The thought arrives that float tanks and bathtubs are simple monkey’s business. Crystal Sound Bath, with the combination of elements—plants, tonics, billions year old crystal geodes, amazing people, and of course Dynasty Electrik—is a bath in pure space energy. Much ado to Seth and Jenny being trained natural healers, but we figure we’ll let them tell you the rest. 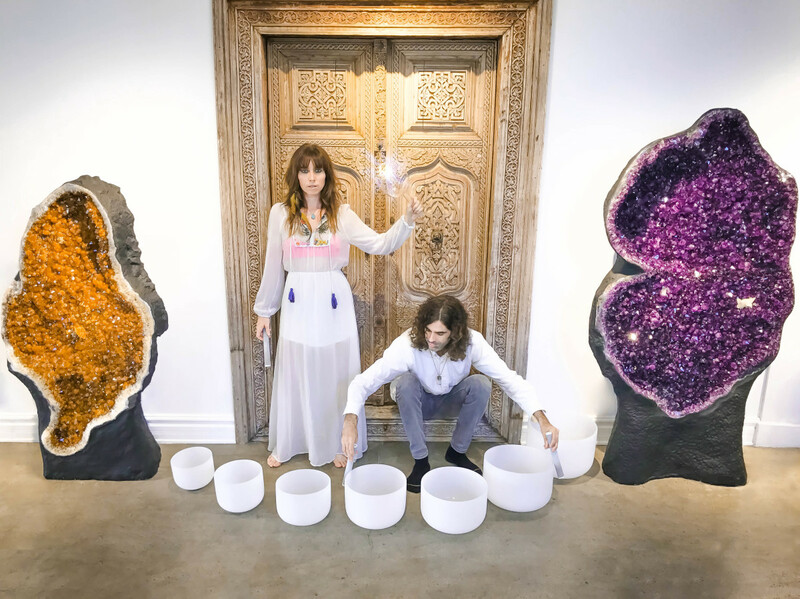 MAGNETIC sat down with the duo to discuss Crystal Sound Bath and the release of the Crystal Sound Bath album, which is one of kind, and the first psychedelic healing sound bath we know of to be available anywhere, and streaming online. From 2001 to 2011, Dynasty Electrik’s Newsonic loft in Williamsburg Brooklyn was home to some of the most prolific parties of its time. 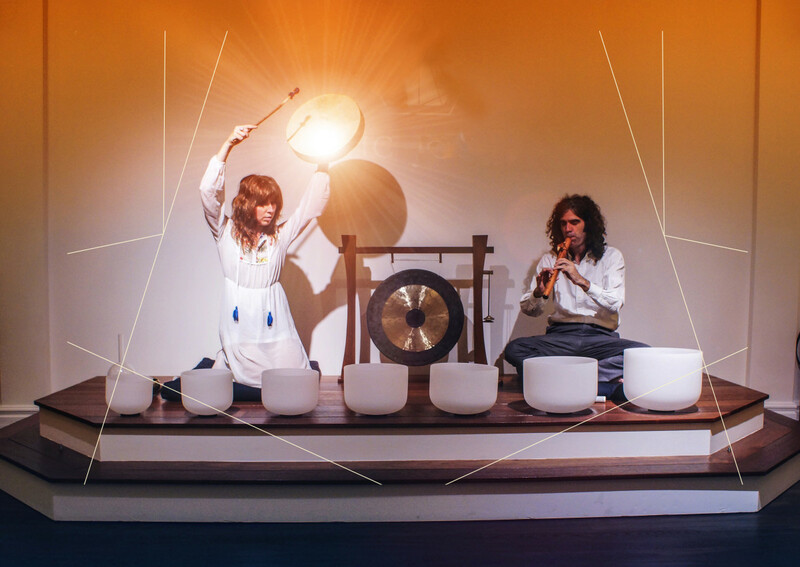 Your Venice Crystal Sound Bath event is so serene, 180 degrees from the raucous parties you used to throw. What inspired this evolution? We’ve always been interested in all kinds of music. Before we explored electronic music we were performing improvisational jazz and psych rock. The Brooklyn warehouse party scene of the 2000s became a kind of sonic canvas for us and we adapted our music to suit the environment. It was an electric time, exploding with creativity. 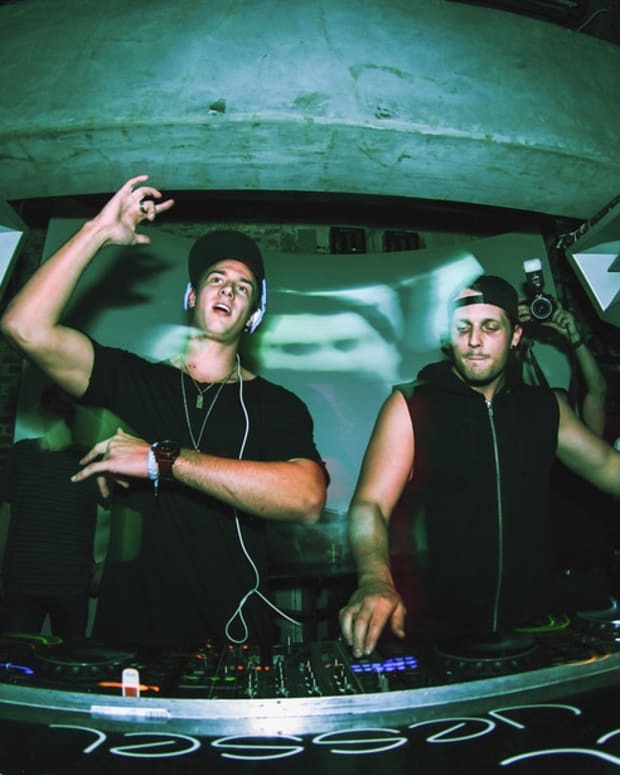 We mixed rock, hip-hop, pop, edm, experimental, and whatever we liked. We often explored the use of singing bowls, gongs and improvised soundscapes in our performances. After leaving Brooklyn in 2012, we retreated to the South Coast of Massachusetts and produced a mandala meditation sound journey for a popular radio show, hosted by the Monk Dude. It was there we met a powerful sound healer named Lisa Ishwari Murphy who deepened our knowledge and encouraged us to continue our own practice. She sent us to the mountains of North Carolina to study energy medicine and produce Shamanic sound recordings, using a wide variety of sound healing instruments from many traditions. 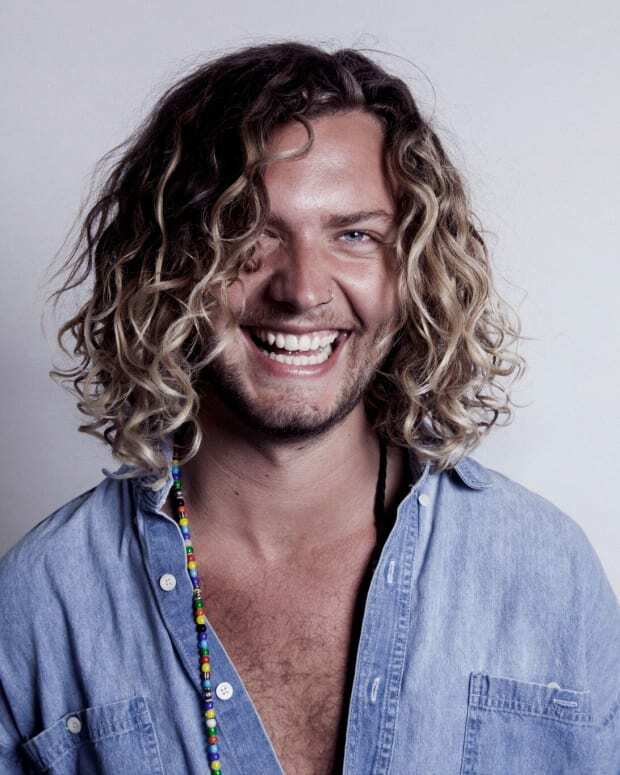 In 2015, we ventured across the country and eventually landed in Los Angeles, where we began hosting regular sound baths at yoga studios, and have found LA to be a very receptive environment. There are other sound baths, but yours is really unique in our opinion, it’s eclectic and powerful, your instrument choices, too. In your words, what sets Dynasty Electrik’s Crystal Sound Bath apart? We draw from our backgrounds in electronic music and jazz in the creation of our sound baths, and so the music reflects the unique journey we’ve been on. We have a perfect pitch set of crystal bowls that corresponds with to the C major scale. This allows us to compose many of our tones and frequencies in major keys, creating an uplifting experience for the listener. We also use an instrument called a theremin. Invented in 1918, it’s the only musical instrument played without physical touch. It has two antenna, one for pitch and the other for volume, both surrounded by electromagnetic fields. Sound is created when the natural electric charge in our hands and bodies interacts with these fields. Quartz crystal, which we use in our sound bath, also contains an electrical charge. The Mystic Journey Crystal Gallery displays a collection of stunning giant crystals, which definitely have a metaphysical presence to them. People enjoy sitting or laying next to them during our sound baths. Quartz crystals like these have one of the purest, most harmonious structures in nature, and being near them can help restore our own sense of harmony and beauty. The walls of the Crystal Gallery are adorned with intentional and spirited fine art and the space has incredible acoustics. We also designed a sound system that amplifies this warm rich tonality. And Venice...the area bustles with visionary culture & technology, a vibrant art scene, gourmet health food and more. It’s a cool spot. Where did the gallery get the crystals? Where do they come from? Mystic Journey is home to a incredible variety of crystals and stones from all over the world, including India, Madagascar, Africa, Peru, Russia, Mexico and China to name a few. Most of the giant geodes and clusters are Brazilian and Uruguayan, the oldest quartz on the planet, ranging in age from 50,000 million to possibly one billion years old. There are many different perspectives about the metaphysical properties of crystals and gemstones, but it is typically agreed upon that they’ve been utilized as magical amulets and protective talismans since the beginning of humankind. One of my favorites is labradorite, which I wear regularly. Often referred to as the Stone of Magic & Divination, labradorite is believed to enhance intuitive abilities, such as clairvoyance, telepathy, astral travel and prophecy. According to Inuit legend, labradorite captures the essence of aurora borealis. I love that visual. That is an amazing visual… and it’s so incredible to have this connection to the ancient world at our fingertips. What’s the energy exchange like during a session like for you? It’s very important for us as the performers to have a balanced and clear energy going into the session, as our energy literally affects the energy of the music, and thus the overall healing experience on a vibrational level. We strive to make ourselves into clear channels for the sound to flow through, because it is literally going into the bodies and minds of the audience. The energy of the audience can also have a profound an effect on the musical experience. The cycles of the moon and changes of the seasons also seem to affect the energy substantially. What’s the response to Crystal Sound Bath been like? Everyone experiences it in their own unique way. Deep relaxation is definitely a common effect and some people even fall asleep. Many report dream-like visions and out of body experiences. Participants often release emotional and physical trauma and some people cry. Afterwards, most people feel elevated and refreshed. A sound bath is a unique opportunity to relax and allow the music to take you on an inner journey. Sound and music can clear, balance, and harmonize our energetic fields, before dis-ease reaches the physical body. A sound bath can be an incredibly relaxing and restorative experience. It can also help one to explore dimensions of consciousness without the possible side effects of psychoactive substances. How can people book you for their own events?